March 23, 2018 – Gospel Plus Square Dance, Hopkins, Caller Tom Allen, Cuer Ray Belanger. 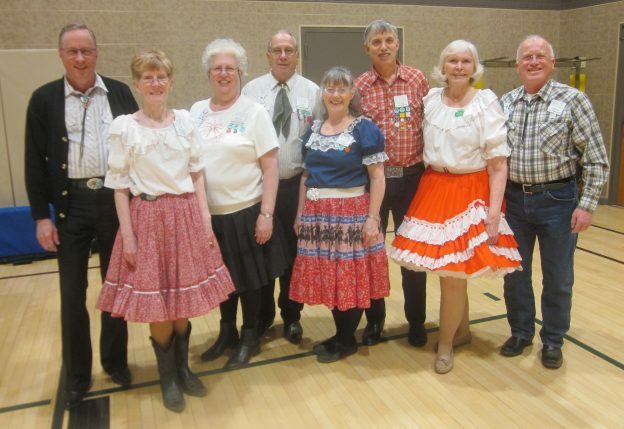 Six squares with dancers from Ar-Dale Dancers, County Line Squares (see photo above), Crystal Cross Trailers, Dakota Grand Squares, Dan’se P.A.C., Gospel Plus, Hot Foot Stompers, Single Circles, South Metro Stars, Square & Twirl, Spares & Pairs, Wandering Wheels, and Westonka Whirlers dancing. 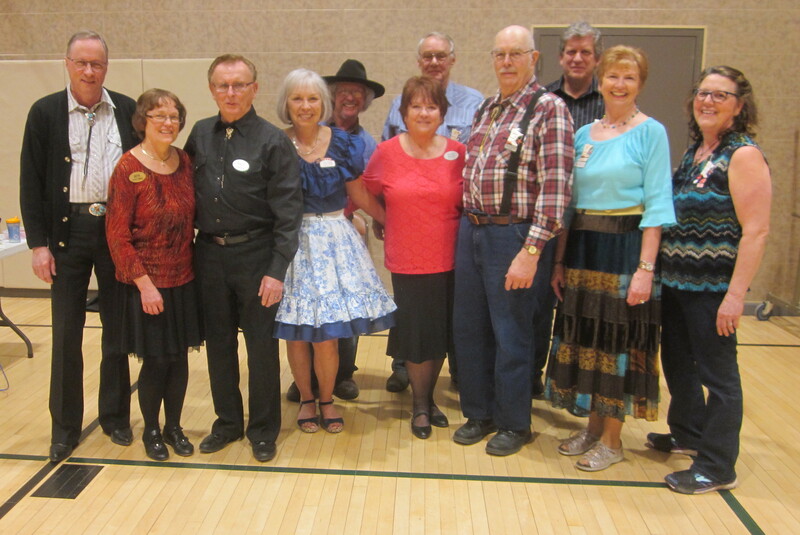 Also present were Hot Foot Stompers Queen Rose, CSD Chair Vince Dahlheimer, SDM Chair LeRoy Elfmann, SDM Secretary Gael Zachman, SDM Education Director Barry Downs, SDM Marketing Director Mary Kay Amberg, and SDM Historian Al Martin.